The game was anticipated with a lot of promise. Not only for the teams but for the talents those two teams possess. England and Croatia last met each other some 13 weeks ago in Luzhniki Stadium in Moscow, in the World Cup semi-final. England got an early lead on the match through a sumptuous free-kick from Kieran Trippier. However, Ivan Perisic equalized for the Croats and England’s hope for a final after 52 years were dashed when Mario Mandzukic scored the winner in the injury time. 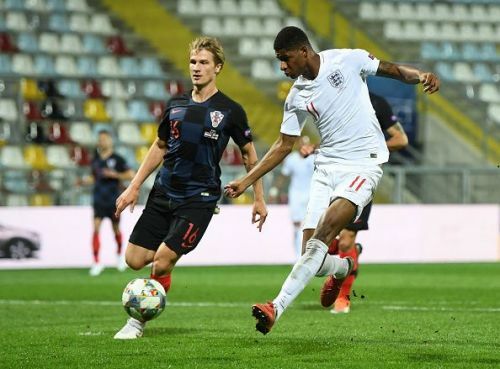 So, Friday’s UEFA Nations League match was a chance for England to take the revenge. They could have done that if chances were not wasted. Croatia’s still haven’t left off their hangover after twin defeats against France in the World Cup final and against Spain in Nations League opener. Though the game ended in a goalless draw, both the side had their chances. England were denied by the post and crossbar, while Croatian forwards wasted opportunities on regular basis. Both teams had a chance to push table-toppers Spain. But now the chance looks bleak. Spain consolidated their position at the top and another win could secure their qualification. In World Cup, England had scored 12 goals, out of which nine came from set-pieces. So, the strikers had little opportunities to prove their worth, especially Harry Kane. The same problem continues to haunt the English side. Though they are more efficient on the attacking third, but couldn’t finish their chances as expected from them. Against Croatia, England should’ve gone ahead in the first half. A superbly taken corner from Jordan Henderson was met by Eric Dier, who was denied off the second post. Strangely, no England player was there to poke the return home. 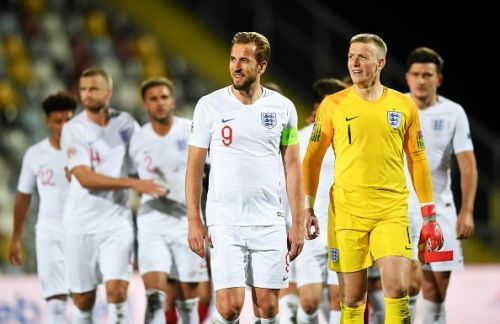 After the start, Harry Kane’s header from another corner ricocheted off the bar and danger was averted when Croatian defender Dejan Lovren kept the ball out of play. Marcus Rashford is mostly responsible for denying his team win. The youngster, who is touted as the next big thing in English football, missed two glorious chances in three minutes, which could’ve ended the game in England’s favor. So, lack of a prolific striker seems imminent for Gareth Southgate's team. Harry Kane is there but he is yet to reach his peak form this season. Moreover, he is not someone like Wayne Rooney or Michael Owen who could change the context of the match with an innocuous move.